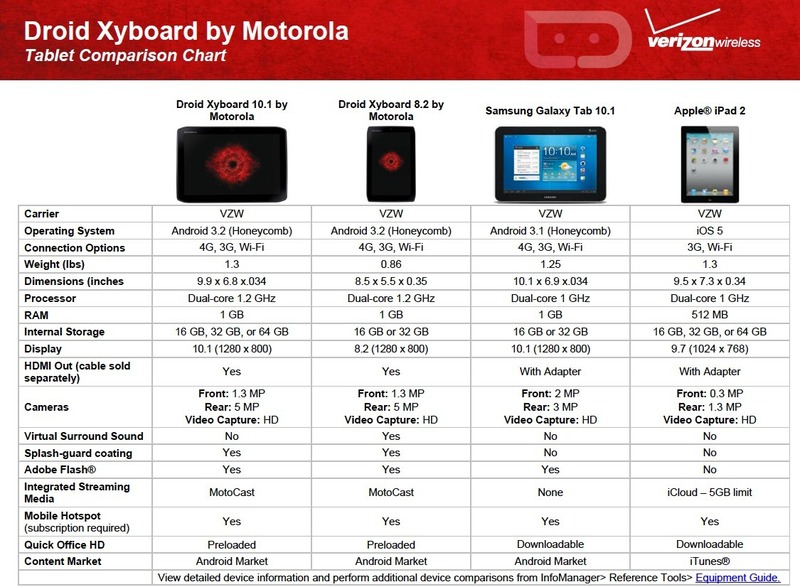 Intrigued by the DROID XYBOARD tablets that Verizon announced yesterday? 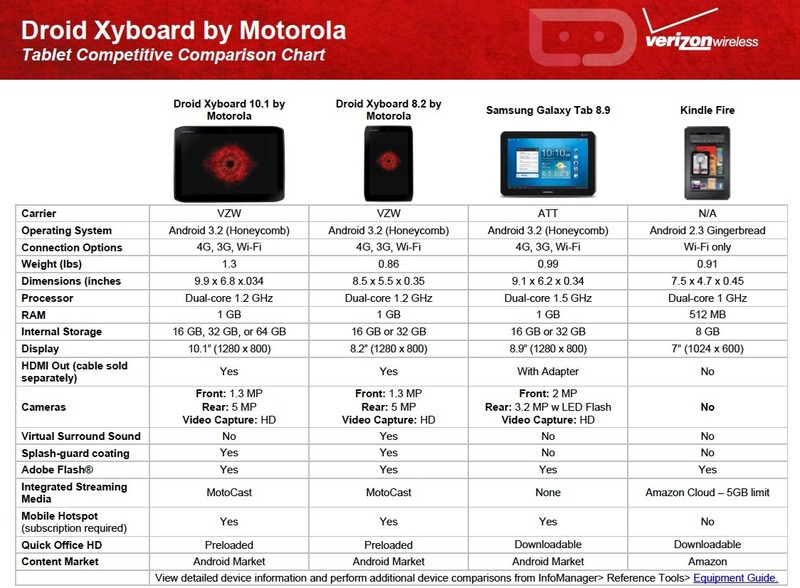 Then you may want to take a look at these two comparison charts that pit both against the competition, including the iPad 2 and the Kindle Fire. Both of the new XYBOARDs (10″ and 8.2″) best almost every other tablet (aside from the Transformer Prime) when it comes to specs given their slight bump in processor speed of 1.2GHz, improved screen, and 4G LTE. Is that slight bump along with an improved screen enough to turn future tablet owners away from the market stomping Fire and iPad 2? I’m not so sure, especially at prices well above both. The new tablets from Motorola start at $429 ($529 for the 10″) on contract, meaning you can get into a Fire for over $200 less without signing 2 years of your life away. If you need 4G speeds on a tablet while on the go though, then these may just end up being your option. A release date was confirmed yesterday for December 12 (Monday), but after seeing the Galaxy Nexus get bumped from the 9th with just days to go, I wouldn’t put money on anything these days. Versus the Kindle Fire after the break. Motorola Details the Ice Cream Sandwich Upgrade Process for Their Phones, Are We Really 6 months Away From Seeing it?